Nobody is immune to life’s little emergencies. These range from car repairs to home repairs, traffic tickets to theater tickets (hey, when the right show comes to town, getting to see it can be a true emergency!) Basically, anything that has to be paid for immediately, regardless of the fact that it hasn’t been accounted for in your well-planned budget (or your impromptu budget, depending on your style) can be thought of as an emergency. Fortunately there’s a simple solution. Payday loans can provide extra cash when you need it, and the process is faster and easier than you might imagine! Sometimes it’s not the troublesome things that create a need for additional ready cash – sometimes it’s a cause for celebration or desire for adventure. Destination weddings are becoming more and more popular, so if you have friends or family members preparing to get married there’s a chance you’ll be called on to fly across the country to participate. Cruises are popular destinations, as are tropical islands. Do you have the savings to make a trip like that if the invitation arrived today? How would it feel to have to decline and miss the event completely? Fortunately payday loans can come to the rescue! Other types of travel and adventure might create a need for a payday loan as well: think about holiday travel or visiting faraway friends. Perhaps you stumble across a great deal for a flight to a country you’ve always wanted to visit – Iceland, or Wales, or Australia. What if your child has the chance to go on a school trip overseas? Or just a couple of weeks at camp? There are opportunities that don’t come every day, and it’s maddening not to be able to take advantage of them. But your savings account is empty… and that’s when payday loans come into play. You get to spend money you know is coming to you, but isn’t here quite yet. Having a good credit rating has become more and more important over the past several decades, but in the past few years, it also became shockingly easy to lose it. With the upheavals in the US economy, people who work hard and pay their debts and always had a stellar credit record have found themselves in the position of losing their good name through no fault of their own. Stock prices falling, the housing market crash, and unprecedented waves of unemployment have all contributed to black marks on the credit records of people who have done everything right, everything they were supposed to do. If you’re one of those, and now find yourself turned down for traditional loans and charge cards, do not lose hope! Payday loans are there for you. In addition to the payday loan application being quick and simple, there is no credit check involved. Rather than base the decision of your creditworthiness on events of the past which may or may not have been within your control, loans are approved for consumers who currently have a steady job that meets certain income requirements, are at least 18, and have a US bank account. In other words, are you able to pay back the loan in the next 30 days, or longer if you qualify for extended repayment terms? It’s all about now – your current income, your current circumstances – instead of having to wait seven to ten years after any credit-rating issues took effect. One of the most important issues for most borrowers is timing. When you need to get to work tomorrow, you can’t wait four days to pay the auto mechanic. Payday loans are a champion at getting you money fast. You can apply and be approved 24 hours a day, seven days a week, and receive funding as quickly as one hour with certain lenders. That’s right – one hour. Others have the option of being approved for a line of credit, which means you only have to apply once, and then the funds are available whenever you need them, up to a certain amount. Repayments are returned to your available balance – minus interest and fees – and become available for you to borrow again. It’s the fastest way to borrow, and a tremendously secure feeling, knowing those funds are there for you on a moment’s notice! The key to using payday loans is that you know the funds are on their way. You’re gainfully employed, and simply need to access some of your own funds that you haven’t yet received. Payday loans are the perfect solution! In addition to letting you access your funds ahead of your paycheck and pay them back effortlessly through your bank account on payday, applying is the simplest process you can imagine. First of all, you can apply from virtually anywhere. The application form is completed and submitted online, from the comfort and convenience of your own home. There are only a small handful of questions, just enough to verify that you meet the basic qualifications for borrowing. Approvals are practically instantaneous, and lenders are available 24/7 to arrange the repayment terms and to deposit the funds into your bank account. The process is fast and incredibly easy! Even just a few years ago, checking bank balances online and paying bills by mail felt wildly technical, space age, and somehow risky. Trusting your financial transactions to the internet? But of course, now we all do it. We, and the industry, have all learned a lot about online security, and now there is very little information we do not share via electronic means: medical records, banking, job applications, and now even credit applications. Borrowing money over the internet is not only secure, but it’s the fastest and most flexible way to do it. Next time you’re in the market for credit, consider quick, safe internet loans! Everyone has the occasional financial shortfall, and if you’re like most of us you come up with really creative ways to handle them! From the straightforward method of trying to get the due date extended, to swapping checks and envelopes – sending the water payment to the electric company, and vice versa – to paying one large bill late in order to free up cash to pay all the smaller ones or feigning that something “must have gotten lost in the mail” (harder to do now that most of us pay our bills online!) None of that dancing and juggling is necessary anymore. The answer can be found at FirstLibertyLoans, your source for fast, safe internet loans 24 hours a day. Even when all the bills are paid, there are all kinds of ways that extra cash could come in handy. There is always an expense that isn’t in our every day budget – it’s always someone’s birthday or anniversary, Mother’s Day, or Valentine’s Day. In the summer we need to pay for camp, or family vacations – irreplaceable adventures that create memories that will be treasured for decades. Every year we say we’re going to save a portion of our paycheck each week and save up for these things, but saving is hard and something always seems to eat up those dollars before their intended use. Fortunately there are fast, safe internet loans to pick up the slack. When you imagine applying for a loan, you probably see a long application and a bank officer’s broad, stern desk. Fast, safe internet loans are very different! First of all, the application is quick – just a few qualifying questions – and it’s completed from the comfort of your own home using your own computer or tablet. Approvals coming in seconds, not days, and funds are deposited into your own bank account as soon as the next business day. The ideal loan experience – what could be better or easier than that? 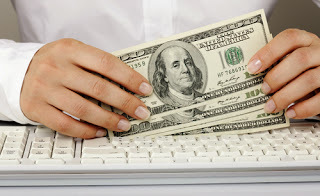 When you need cash fast, get a 1 Hour Cash Advance. We’ve all been there – standing in the auto repair shop, a mechanic in greasy coveralls telling us exactly what we were hoping not to hear. We do the mental calculations and know there’s just not enough money in the bank to cover this repair. But it’s an impossible decision, too – fixing the car means going without groceries, or not paying other bills. Or maybe the furnace breaks down, and in winter that’s not something that can wait – ignoring the problem, even temporarily, isn’t an option. It’s a stressful, anxious situation to be in, and we’d give anything for a fairy godmother to waft down from the sky and hand us a big chunk of cash – but there’s a simple solution. 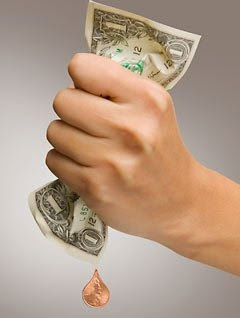 Instead of waiting for magic, get a 1 hour cash advance from www.AmericashAdvanced.com! If you’re thinking, “I can’t get a loan – nobody will lend to me since I messed up my credit,” you’re in for a pleasant surprise. Not only is a 1 hour cash advance fast, but there is no credit check. Bad credit won’t prevent you from being approved because nobody evaluating your application will even know what your credit rating is. Until a few years back, a credit rating might have been a useful measure of a person’s likelihood to repay a loan, but those days are gone. Since the global economic meltdown, many people had their credit damaged through no fault of their own. Instead of basing approval on a measure of past events, your approval is based on your current income – and the payment can be drafted from your bank account on payday, or over several consecutive paydays to reduce the impact. Sure, some expenses can be planned for, but so many can’t be! Car repairs, medical emergencies, unexpected bills and expenses – they happen to all of us, and when they do, fast is the name of the game. 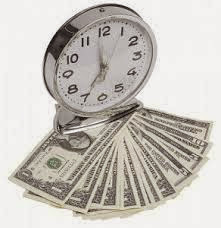 The 1 hour cash advance is exactly what it says – go from application to cash in hand in sixty minutes! You’ll have payment ready before the car is even fixed! It’s easier than you think too – keeping the process simple keeps it quick. The application form is just a few questions long. Your answers verify that you meet the qualifications for the loan and for what amount. Within minutes you’ll be on the phone with a lender who can work out the details and get your cash advance deposited into your bank account. Could it possibly be any faster or simpler than that?